The Growing Value in that Crowd- Encourage it Out. The use of crowdsourcing: the goal for me, is to engage and move the crowd towards a new direction, by encouraging out individual thinking and discovery, searching for combining these contributions; ones that lead to novel, new answers that move a challenge forward into a solution, one that has improved value over the existing. The community is encouraged to form, lead and build, taking ideas and thinking onto discovery journeys, seeking out and building on each other’s contributions. The individual building blocks (like Lego) connect into a collective whole, that piece together, progressively being combined, to solve a problem, to frame something that leads to an answer of meeting the challenge initially set up. The overriding need is to release the forces within the crowd, by seeking out and gaining their engagement and connection as something ‘they’ believe they can contribute into; as here lies the discovery of many, combining and ‘feeding off’ of each other, to change the existing into the preferred. This is the third post on crowdsourcing that might offer some general background statements. Part one is here and part two is here. Crowdsourcing can be powerful if harnessed well. After a fairly detailed exploratory working through crowdsourcing in this mini-series, I wanted to offer my ‘take’, to help our thinking though in formulating clearer positions in this, to see its increasing value as contributing into an innovation management system. 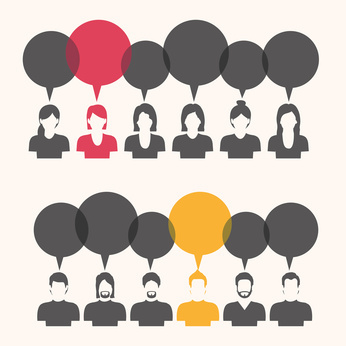 So Are You Thinking Crowdsourcing? Crowdsourcing does have a real potential in my mind but does seem to have some formidable issues to work through, to be well understood and managed. Partnering with experts in this field will help overcome many of these barriers or at least have reassuring suggestions for resolving them. Let’s take a look at some of these here in this post. Certainly, I think over time we will learn what works for us and what becomes leading practice, so we can become a lot clearer on crowdsourcing position and value to us, within our context, terms and circumstances. That is why it will be really hard to cite ‘best practice’ as each crowdsourcing challenge will need different inputs and will yield very different outcomes for each unique challenge or problem raised. Continuing with my exploring crowdsourcing. Part one is here. Within this second post, I want to offer some different thoughts to work through around the issues and concerns that came out in my researching the subject. There is a part three coming out in a few days to finish this mini-series off. Evaluating Crowdsourcing – offering a bright future? Crowdsourcing has been growing in interest for some time to change our thinking in innovation discovery. It can hold a key for us to help solve vexing questions, real challenges, and connect different voices, that builds into a community that can combine and open up the fields of opportunity for new solutions. Crowdsourcing does have both the potential to point towards disrupting possibilities, extends the concept of open innovation into a wider source of participation from a diverse community not possible to reach by other means as effectively. It can simply connect a ‘crowd’ of people to a common purpose. All in all, if applied carefully it can provide you with a leading edge of innovation knowledge and insight. I wanted to step back a little and take a more measured look at crowdsourcing over three posts. This is part one. Have you ever been caught up in a sudden surge within a crowd, when it all suddenly moves, temporarily sweeping you off your feet, making the pulse race a little more until you actually begin to enjoy the sensation? It brings out a sudden rush of emotions. It can be intense, it moves you in a particular direction, often you are struggling to regain control, and everything around you heightens in your awareness. You love it or you hate it. Either way it gives a real rush. Are you hearing all the voices for ideas? So where do ideas come from? The most popular one is the ‘voice of the customer’ yet this is one of the many ‘voices’ that need to be allowed to speak. In this fuzzy front end of innovation where ideas are generated, there are many places we can ‘discover and listen’ to the voices that will provide concrete ideas and concepts. Let’s take the time to recognize these and ask you, the reader, do you have a systematic plan to capture all these voices? The most talked about place to find the ideas that are closer and relevant are the search for new ideas around the jobs needing to be done (jtbd). We get closer to these voices when we use a variety of techniques that give this voice its chance to speak. We do this through customer focus groups, user panels, customer surveys, lead-user research, direct observation of the user in their environment, and allowing ourselves to become fully immersed in a customer’s experience.